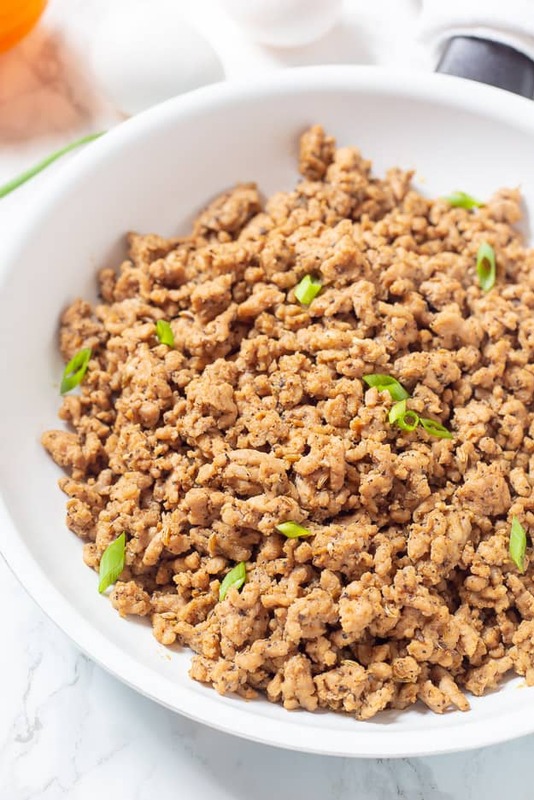 Ground Breakfast Sausage for Casseroles is made with ground pork and savory spices that is ready in 10 minutes! 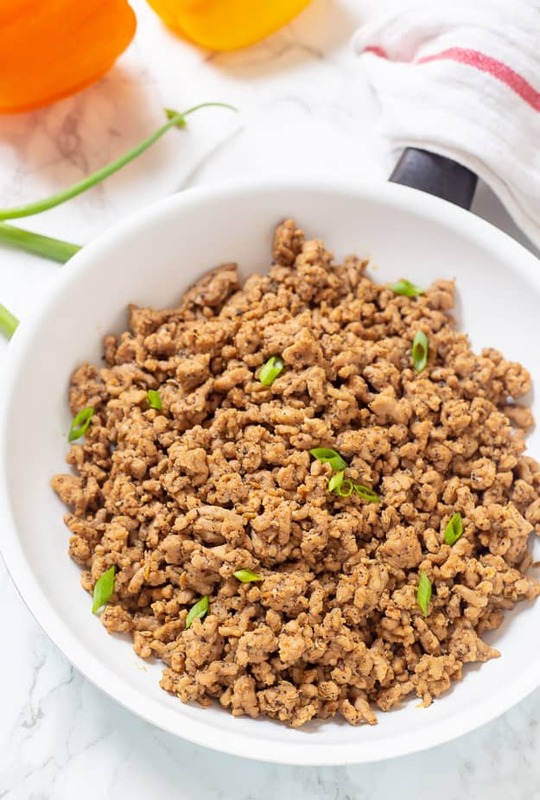 Low-carb, keto, Whole30, and Paleo compliant with substitutions. Skip the storebought breakfast sausage and make this homemade version that’s even better! With me eating a low-carb, ketogenic diet these past few weeks, I noticed how hard it is to find compliant breakfast sausage in the stores. It’s loaded with sugar, which I try to stay away from right now because I am trying to lose a little weight. But the hubby isn’t, and he consumes and LOVES all of the newer recipes I am whipping up in the kitchen. If you do not mind sugar in your breakfast sausage, read below because I will share how to make it with and without; if you do prefer a sweeter breakfast sausage and are trying to stick to a low-carb, ketogenic diet. I will mention if you are doing a Whole30 any sweeteners, even natural sweeteners like Stevia, are not compliant. What’s the best breakfast sausage seasoning? So glad you asked! 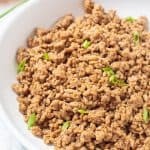 Most of the ingredients I used in my ground breakfast sausage recipe you can find in most kitchen spice cabinets, or if you can’t, they are straightforward ingredients to locate in the stores. Or if you are an Amazon shopper, I will link my favorites below that are affordable. 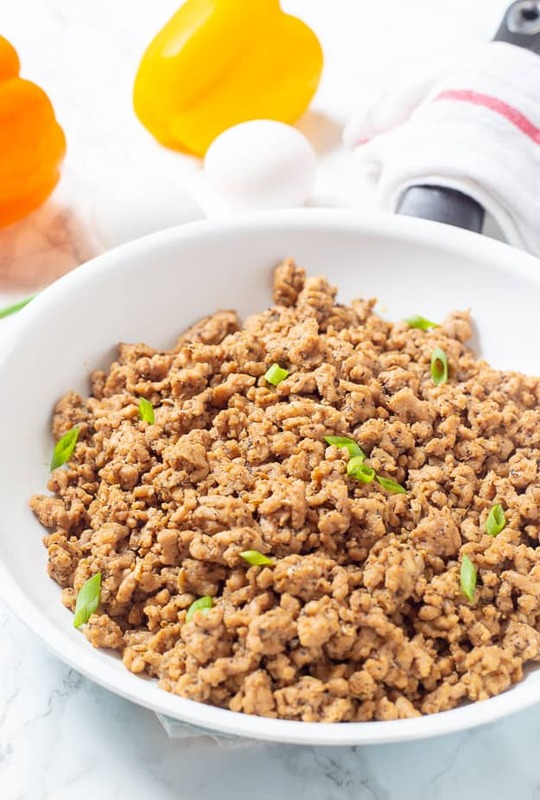 Ground Breakfast Sausage for Casseroles is made with ground pork and savory spices that is ready in 10 minutes! Low-carb, keto, Whole30, and Paleo compliant with substitutions. Skip the storebought breakfast sausage and make this homemade version that's even better! Place a large skillet on medium heat until pan is hot. Add olive oil to the skillet and make sure the oil is coated evenly. Add the ground pork, ground sage, fennel seeds, garlic powder, onion powder, pepper, salt, and cayenne pepper (optional) to the skillet. Mix until combined. 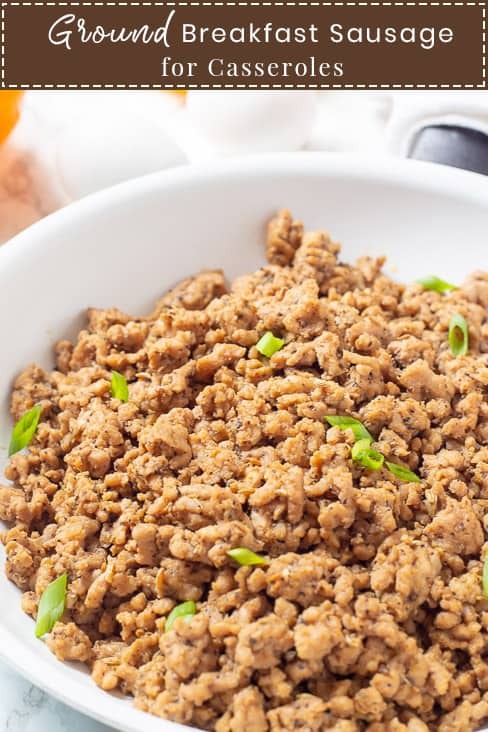 Continue to stir until the ground pork is cooked all the way through. Remove the breakfast sausage from the skillet and store in an airtight container until ready to use for casseroles or by itself. * You may use ghee or any other oil you prefer. I did not add the sugar into the nutritional calculations since it is optional.